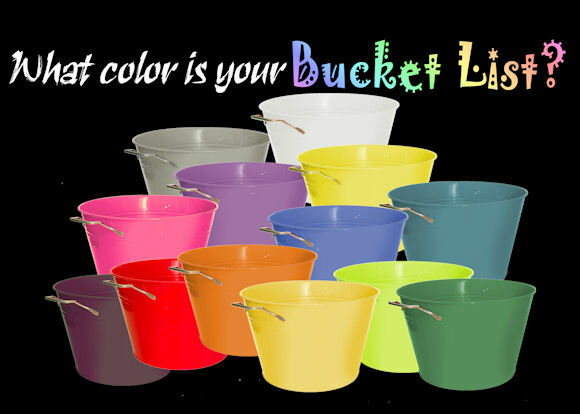 Bucket lists are just “to do” lists with delusions of grandeur. 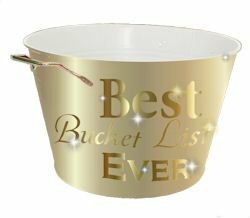 I have to ask myself: Why make a bucket list? Do we really need them? The term bucket list didn’t even exist prior to the eponymous 2008 movie starring Jack Nicholson and Morgan Freeman. Before that movie, people had a few goals (some more specific than others) and did their best to achieve them. Now, apparently, simple goal-setting won’t suffice. Lots of people are making bucket lists and the term itself is part of the world lexicon. It has become a movement. These days, not only can you make your own bucket list (and share it via a number of web sites), you can make dozens of them, each geared to a specific interest. I have seen love bucket lists, travel bucket lists, foodie bucket lists… I even encountered a site inviting me to join “the bucket list lifestyle.” Not rushing to accept that invitation. Bucket Lists: Another Hallmark(TM) Holiday? Somehow, making bucket lists is beginning to seem to me like a Hallmark holiday. You know — the ones they make up so people will run out and buy cards and neon-hued stuffed bears clutching hearts and flowers. Or little gold plastic trophies proclaiming Best Bucket List Ever. Can Bucket List Day be far behind? Maybe this makes me a curmudgeon, but I keep wondering why we need to formalize our goals and aspirations to this extent; to entomb them within neatly numbered lists that we then dutifully drag with us as we plow through each item. How Do Bucket Lists Work? What’s the bucket list protocol, anyway? Can you change your mind? Delete items you’ve had second thoughts about? Rearrange them? What if you can only think of 12 goals? 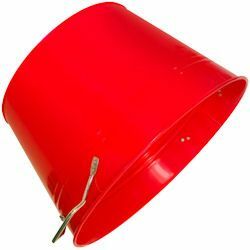 How many bucket items do you need to be “legitimate” and not seem like a slacker? I see the number “100″ invoked a lot. And then there’s the matter of list order. What happens if “spend more time with my spouse” is on the list? That probably should be pretty high up. But hold on. Once an item is checked off, is that the end of it? Remember all the other things that have to be done. Can’t let an old bucket list item get in the way of accomplishing one that still needs doing. Of course, you can always place the time/spouse thing lower down the list. Just make sure you don’t put it too far down or you might not have a spouse to spend time with. Speaking of spouses, do couples share a single bucket list or does each person maintain a separate one? And what happens in the event of bucket list incompatibility? Suppose you jump in with 100 big, juicy goals and your spouse only has 12 that all revolve around jewelry? In the future, will this be considered grounds for divorce? Will couples therapy become necessary? And if you do happen to part, who gets custody of the shared list? And what happens if you run out of you before you run out of list? Are you doomed to roam eternity like Marley’s Ghost, dragging the chains of your unfinished items behind you? Clankety clankety. in its September 2013 quarterly update! Of course, enterprising people can get around all of this by hiring stand-ins, the same way they pay people to take the SAT in their stead. (Hmmm… Bucket List Doubles?) With sufficient wherewithal, in fact, you can knock out your entire list in a weekend. Just marshal your minions, dole out their tasks, and set them loose. Get that bucket list out of the way early and then you can go back to living your life. Just make sure that your life partner has been similarly efficient, or you’ll be stuck working through someone else’s bucket list. Why are there no rules? Bucket lists are tricky, I tell you. There ought to be rules. And maybe a branch of law. And monitors. And enforcers. These bucket lists are serious business. Some people are very secretive about their lists — keeping them private and sharing the contents with only a select few at most. Others publish and proclaim their lists — posting them to web sites, trading copies with friends and even complete strangers. Already there are dedicated web sites to enable people to post their lists and manage them. Total access is necessary — even when you don’t have your computer with you — because you never know when an opportunity to check off a bucket list item will come your way. I predict that eventually there will be bucket list competitions, similar to, but hopefully not as revolting as those hot dog eating competitions (unless, of course, entering one of those contests is on your list). Perhaps bucket list exhibitions with judging and ribbons will become a feature of county fairs. And perhaps these smaller, local gatherings eventually will evolve into national — and international — awards shows with red carpets, fancy gowns, and bucket-shaped trophies in crystal or bronze. In fact, I also predict that Bucket List: The Reality Series will soon appear on a network near you. But don’t sit around waiting for the movie. 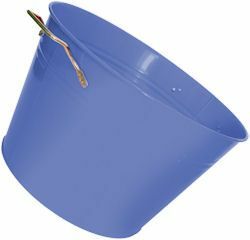 That bucket has already been emptied. Of course, adults who are just beginning to make bucket lists are at something of a disadvantage because they are starting so late. Fortunately, their children and grandchildren won’t be similarly fettered (except. of course, by the weight of expectations). It’s never too early to start setting goals, so courses in bucket-list-making should be offered from a very early age. If necessary, math or social studies should be dropped from the curriculum to make room. In college, a bucket list major should be established. Those with a natural talent for making these bucket lists will, of course, go on to advanced study — eventually earning a Ph.B. for their achievements. Nobel and Pulitzer prize categories will expand to include Bucket Lists. Naturally, Bucket List badges will be added to the roster of scouting achievements. I believe that Bucket Lists may serve as a catalyst for eventual peace in the Middle East — although this could go awry, if each country happens to include “annihilate [fill in country of choice]” on its list. Perhaps the U.N. can step in to mediate. 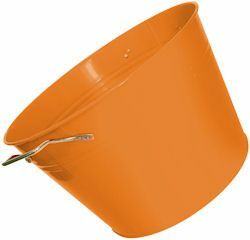 In terms of the general future, will bucket lists become as standard a part of our lives as driver’s licenses or bank accounts? Perhaps there will be bucket list accounts. Or perhaps accomplishing appropriate items on a bucket list will result in lower insurance rates, merchandise discounts, or frequent flyer miles. I can certainly envision people sending cards to each other to mark milestone bucket list accomplishments. What did I tell you? Hallmark(TM). Definitely. Curmudgeonly commentary aside, the idea of a bucket list appeals to a great many people. These lists do offer a way to crystalize goals and dreams by providing a plan to follow and a way to track achievements. There is satisfaction in attaining one’s objectives, and the simple act of checking off an item on a list can be exhilarating. In this era of social networking, connecting with others who are working on their own bucket lists — perhaps even sharing or trading list items — is a logical step. 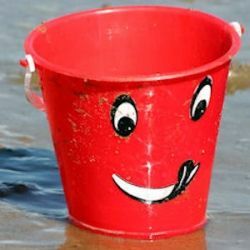 Already, several web sites offer central locations and facilities for creating, maintaining, and sharing bucket lists. Customize this Bucket List notebook on Zazzle. For some people, a scribbled list on a sheet of paper will be sufficient documentation for the bucket list. Others might prefer to pursue online solutions. Beyond these options, however, are physical representations of the list and subsequent accomplishments. One way to organize a determined bucket list effort is to make a Bucket Book. This might become the end product or it might be a precursor to a scrapbook, memory album, or multimedia extravaganza. 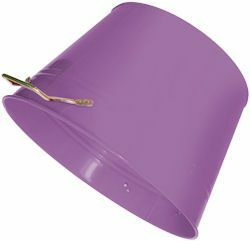 A Bucket Book will keep all list-related material in one neat location. Photos can be filed there; notes and anecdotes can be recorded. While a lot of information may reside in one’s computer, it can be very satisfying to thumb through an ever-enlarging notebook of accomplishments. Want a more sociable option? Get together with friends and work on your lists together. Form a club. Perhaps a Bucket[list] Brigade. This is a great gift idea. In fact, you could start a family tradition. Give each family member a bucket notebook and a couple of times a year (on Thanksgiving, for example) people can share their books and add new goals to their own lists. 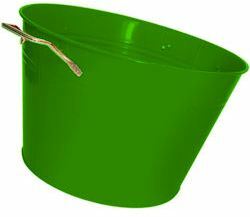 Perhaps there would even be a family bucket item that goes on everybody’s list. Start with a great, personalized 3-ring binder. I just happen to have one… It’s fully customizable. Or create one from scratch. Customize this Bucket List binder. Oh — and no need to worry about formatting your pages. On the Microsoft Office web site you can download a Bucket List Template. waiting, waiting, for the station. in it.” It isn’t the burdens of today that drive men mad. go along. The station will come soon enough. I think Mr. Hastings had the right of it…enjoy the journey and stop “keeping track” of what you did or didn’t do. What a great quote — and so true. Thank you for sharing it with me. I’m so glad I read this! I don’t have a bucket list. 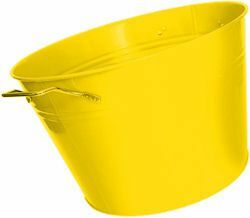 Do not want to haul around a bucket. I like to be spontaneous. We might say, we are already there, if we have enjoyed every step of the way. Well I hate doing what someone tells me to do — even if that someone is me!